John Catt (centre, in the photo above) was born in 1922 and educated at Winton House Preparatory School and at Sherborne. He studied Medicine at St Andrew’s University, and upon leaving he volunteered for the Royal Navy and serving aboard HMS Collingwood and HMS Cairo in the Atlantic, in Artic Waters and in the Mediterranean Sea. His ship was torpedoed with the loss of a hundred men on the Malta convoy. Shortly after the end of the war in Europe, he was sent to the United States for a naval intelligence course and on demobilisation in 1946 John resumed his medical studies at Trinity Hall, Cambridge. After graduating, he decided that he did not want to practise medicine and from 1948 to 1954 he taught at Woodberry Forest School in the Blue Ridge Mountains of Virginia. Shortly after returning to England, John began to work in the field of fundraising and it was this experience that gave him the idea of founding Maintenance and Equipment News, which was to become the first publication in the stable of John Catt Ltd, which he established in 1959. His involvement in publishing fund-raising brochures for schools led to him being asked to publish Conference, a new magazine for members of the Headmasters Conference of independent schools (now the HMC). From 1975, he took on The Preparatory Schools Review and also became an important publisher of school prospectuses. John transferred the business to Great Glemham in Suffolk in 1979, where he could be closer to the coast to indulge his love of sailing. 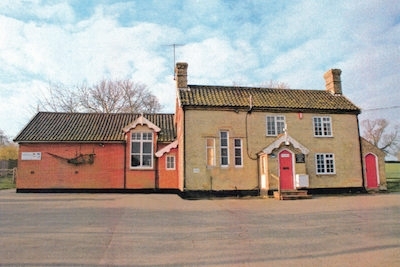 From an old Victorian schoolhouse (right)the business prospered, publishing a range of magazines and guidebooks for parents seeking information on independent schools. This range included the prestigious Which School?, a beautiful hardback guidebook that the company still publishers to this day. John Catt sold the company in 1987 to an American organisation, who also owned an international school in London (now Dwight School London). A decade later, the company was split up and new owner Jonathan Evans took on the burgeoning publishing arm, renamed John Catt Educational Ltd.
Having established trusted relationships with many of the most important associations in independent and international education (including the International Baccalaureate, the Council of International Schools and the Council of British International Schools), the publishing business thrived under the astute leadership of Jonathan and sage guidance of publishing director Derek Bingham. In 2008, the company was moved from the bucolic charm of the old schoolhouse into new offices in Woodbridge. In 2014, a new management team bought the company from the now-retiring Jonathan. 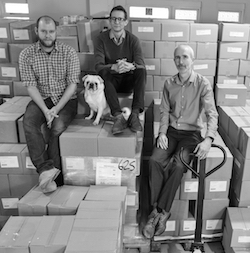 Alex Sharratt, Jonathan Barnes and James Rudge (pictured left, in the company warehouse) have developed the range of professional development books for heads and teachers and the company is now regarded as one of the leading publishers in the sector. Our authors include former Secretaries of State, senior civil servants, Heads, teachers, researchers and academics, union leaders, journalists and many other leaders in their field. The rights for John Catt books are regularly sold into foreign territories and the plaudits are many. The educational publishing industry moves on, but we still retain many pleasant memories of our past, and with them the ethos and high standards that John Catt bequeathed.